Archbishop Wilton Gregory, 71, was born on December 7, 1947 in Chicago, Illinois. He attended the University of Saint Mary at  Mundelein Seminary, and completed his doctorate in sacred liturgy in 1980 at the Pontifical Liturgical Institute (Sant’ Anselmo) in Rome. Cardinal Wuerl had presented his resignation almost three years ago, when he reached the retirement age for bishops of 75. Upon acceptance of his resignation, Pope Francis named Cardinal Wuerl as apostolic administrator to oversee the archdiocese until a successor was named. Cardinal Wuerl served as archbishop of Washington from 2006 to 2018. WASHINGTON—El Papa Francisco nombró al Reverendísimo Wilton D. Gregory como nuevo Arzobispo de Washington. La designación fue publicada en Washington, DC, hoy jueves 4 de abril de 2019 por el Arzobispo Christophe Pierre, Nuncio Apostólico en Estados Unidos. El Arzobispo Wilton Gregory, de 71 años, nació el 7 de diciembre de 1947 en Chicago, Illinois. Estudió en la Universidad de Santa María en el Seminario de Mundelein, y completó su doctorado en liturgia sagrada en 1980 en el Instituto Pontificio Litúrgico (Sant ’Anselmo) en Roma. El Reverendísimo Gregory fue ordenado sacerdote en la Arquidiócesis de Chicago el 9 de mayo de 1973. El 13 de diciembre de 1983, fue ordenado Obispo Auxiliar de Chicago. Luego fue instalado como Obispo de la Diócesis de Belleville, IL. El 10 de febrero de 1994, el Papa Juan Pablo II lo nombró como el sexto Arzobispo de la Arquidiócesis de Atlanta. Fue instalado el 17 de enero de 2005. El Arzobispo Gregory sirvió como Presidente de la Conferencia de Obispos Católicos de Estados Unidos desde noviembre del 2001 hasta el 2004, luego de tres años como Vicepresidente de USCCB. Bajo su liderazgo, la USCCB implementó la Carta para la Protección de Niños y Jóvenes  (Charter for the Protection of Children and Young People). Previamente, el Arzobispo Gregory sirvió en otros comités incluyendo los de Doctrina, Liturgia, Administrativo y Política Internacional, al igual que ejerció como presidente de los comités de Personal y Tercer Milenio/Jubileo Año 2000. El 12 de octubre de 2018, el Papa Francisco aceptó la renuncia del Cardenal Donald Wuerl, de 78 años, del gobierno pastoral de la Arquidiócesis de Washington. El Cardenal Wuerl había presentado su renuncia hace casi tres años, cuando alcanzó la edad de jubilación para los obispos de 75. Al aceptar su renuncia, el Papa Francisco nombró al Cardenal Wuerl como administrador apostólico para supervisar la Arquidiócesis hasta que se nombrara un sucesor. El Cardenal Wuerl sirvió como arzobispo de Washington desde 2006 hasta 2018. La Arquidiócesis de Washington está conformada por 2.104 millas cuadradas y tiene una población total de 2.994.625 personas de las cuales 658.818, equivalente al 22 por ciento, son católicas. [post_content] => The following is a Virginia Catholic Conference (VCC) statement regarding the Born-Alive Abortion Survivors Protection Act. We are deeply dismayed and astounded that the U.S. Senate has failed to pass the Born-Alive Abortion Survivors Protection Act (S. 311). It is a matter of common sense and basic human decency to require, as S. 311 would have, that any health care practitioner present when a child is born alive following an abortion give the same degree of care to preserve the life and health of the child as would be given to any other newborn. That this bill did not pass unanimously – let alone even pass at all – is appalling and beyond comprehension. We are dismayed and outraged that Virginia’s U.S. Senators Warner and Kaine voted against this critical lifesaving legislation. We urge the Senate to reconsider its decision as soon as possible. This joint statement has been issued by Most Reverend Michael F. Burbidge, Bishop of Arlington, and Most Reverend Barry C. Knestout, Bishop of Richmond. The VCC statement is available here. Estamos profundamente consternados y atónitos que el Senado haya fallado en contra de la ley de Protección a los Sobrevivientes del Aborto Nacidos Vivos (S. 311). Requerir esto es una cuestión de sentido común y dignidad humana tal como el S. 311 lo habría hecho, que cualquier profesional de salud que esta presente cuando el infante nace vivo depuse del aborto, este proporcionaría la misma atención que haría a cualquier recién nacido para preservar la vida y la salud. Que el fallo de esta ley no fue unánime – y peor aun que hayan fallado a favor - es terrible e incomprensible. Nos quedamos consternados e indignados que los Senadores de Virginia, Warner y Kaine, votaran en contra de esta legislación critica de salvaguardar la vida. Instamos al Senado a reconsiderar esta decisión lo antes posible. “The Holy See’s announcement, Saturday, Feb. 16, 2019, is a clear indicator that sexual abuse against a child or adult by those even at the highest level in the Church is intolerable. I pray this action by the Holy Father is one step to help victims of abuse move forward from the hurt and pain they have experienced. I ask you to pray for the healing of all victims and their families and to the victims who suffered abuse by Theodore McCarrick. I ask you also to keep in your prayers our Church and to continually ask God’s grace upon the clergy in our diocese who are serving with dignity, grace and integrity. “The Church has no greater charge than the protection of children. 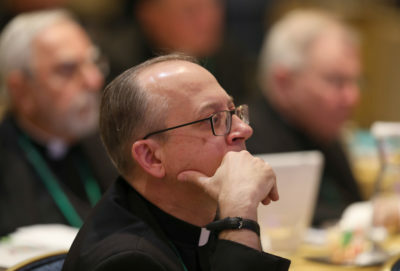 I am hopeful that, despite our not acting upon specific measures related to the abuse scandal, the discussions which took place during the U.S. Conference of Catholic Bishops about bishops’ accountability regarding clergy sexual abuse will be the foundation for concrete action — not only for the Church in the United States, but for the Church universal. Child protection is not only a parish, diocesan and national concern in our Church, but it is a concern for the Church throughout the world. So, when our Holy Father meets with the presidents of bishops’ conferences in February, they will be looking at protecting ALL children and making ALL bishops accountable for what they do in this regard. to establish an abuse victims’ assistance fund for counseling aid to those who have experienced abuse from clergy. Read the President of the U.S.C.C.B Statement Following the Close of the Fall General Session in Baltimore Nov. 12-14. “Today, Pope Francis accepted the resignation of Cardinal Donald Wuerl as archbishop of Washington. Having assisted Cardinal Wuerl for nearly a decade with the many events of the Archdiocese, including coordinating the Archdiocesan Synod and 75th Anniversary celebration, implementing programs for the New Evangelization, and as co-chair of the committees to coordinate two papal visits, I know him to be a dedicated bishop who is devoted to and fully focused on ministering to the people of God. My experience with him in Washington was as an effective teacher, as one who fostered the unity of the Church, love for the sacraments especially the Eucharist and as one who provided careful oversight for charitable works of the Archdiocese. As I said on the day of my announcement as Bishop of Richmond: Cardinal Wuerl has taught me the importance of seeking the best from myself and the people around me who serve the mission of the Church, to proclaim the faith, to celebrate the sacraments and to serve in charity. For this, I am profoundly grateful. [post_content] => Bishop Knestout will celebrate nine regional Masses of Atonement with the faithful. The Masses begin at 7:30 P.M. at the locations and times provided below except where otherwise noted. All are welcome. 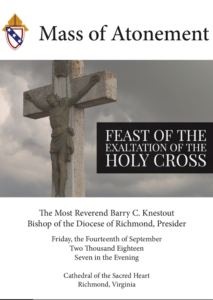 Friday, September 14, at 7:00 p.m., Bishop Knestout will preside at the Mass of Atonement for victims of abuse held on the Feast of the Exultation of the Holy Cross. The celebration of the Mass is the first of several steps Bishop Knestout is taking in response to the present crisis facing the Church. As part of the Mass of Atonement, Bishop will remove the symbols of his office and prostrate himself before the cross and altar during the service. The prostration, similar to the prostration at the Good Friday liturgy, signifies contrition, humility, reverence, deep anguish for the suffering Christ, and too, the grief and sorrow of the Church. For more on the Mass, please click on the worship booklet below. If you are unable to join us for The Mass of Atonement at the Cathedral of the Sacred Heart in Richmond, you can watch the Mass while it's live streamed here and on our YouTube Channel. I am profoundly aware of the hurt and anger the Catholic faithful and the community at large are feeling in light of the recent report of abuse by Church leadership and now with the release of the Pennsylvania Grand Jury report on abuse in the Church. Those revelations further erode trust in Church leaders and in the Church as a whole. I am praying for all who have been abused. Our Church — especially its bishops — must continually seek forgiveness for our failures from those who have suffered as a result of those failures. To open ourselves to the grace we need to overcome this scourge upon our Church, we must prayerfully seek healing and reconciliation with all who have been hurt. As a step in this process, I am inviting the faithful to come and pray with me for all victims of abuse at a Mass of Atonement, Friday, Sept. 14, 7 p.m., at the Cathedral of the Sacred Heart, Richmond. 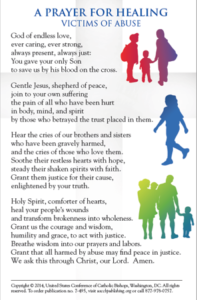 We will pray for all victims of abuse, express sorrow for the failure of Church leaders, seek forgiveness for our sins, and ask for the guidance of the Holy Spirit in the ongoing healing of the People of God. During the seven months I have been bishop, I have asked for a review of the process and procedures currently in place for reporting and responding to all abuse. I am encouraged by the work of our Diocesan Review Board, a committee of lay and clergy members who have assisted our diocese for the last 16 years, in assessing accusations of child abuse and the suitability for ministry of the accused. I am firmly committed, as Bishop of the Richmond Diocese, to addressing accusations of abuse quickly and transparently. Be assured, we will continue to make protection of the most vulnerable a priority in our parishes, schools and throughout our diocese. “I pray that during this time when we are challenged by divisions that we commit to praying, listening, learning, thinking and working for peace, justice and an end to racism." You can read more of Bishop Knestout’s reflections in his “Christ Our Hope” column. 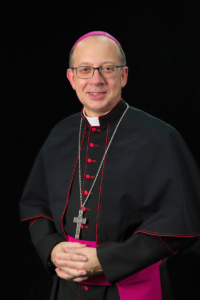 Richmond, Va. – The following is a statement from The Most Reverend Barry C. Knestout, Bishop of Richmond, where Bishop Emeritus David E. Foley served as Auxiliary Bishop from 1986-1994 before his appointment as Bishop of the Diocese of Birmingham. RICHMOND, Va. – Within hours of being announced as the 13th Bishop for the Catholic Diocese of Richmond, Tuesday, Dec. 5, 2017, the Most Reverend Barry C. Knestout, 55, Auxiliary Bishop of Washington, celebrated Mass with Pastoral Center staff for the first time in the diocese he will soon oversee. Earlier, he held a press conference where he was introduced to staff and media. Bishop-designate Knestout succeeds the Most Rev. 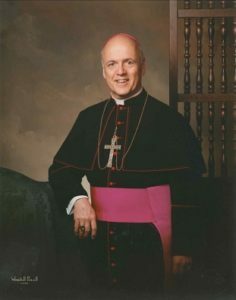 Francis X. DiLorenzo, 12th Bishop of Richmond, who died Aug. 17, 2017, at the age of 75. A native of Maryland, Bishop-designate Barry Knestout, was born in Cheverly, MD, and ordained a priest in 1989 after completing his seminary studies at Mount St. Mary’s. He was named Monsignor by Pope John Paul II in 1999, and ordained an auxiliary bishop December 29, 2008 in the Archdiocese of Washington. Bishop-designate Knestout will take possession of the Diocese of Richmond during a Mass of Installation which is scheduled for Jan. 12, 2018, at the Cathedral of the Sacred Heart in Richmond. 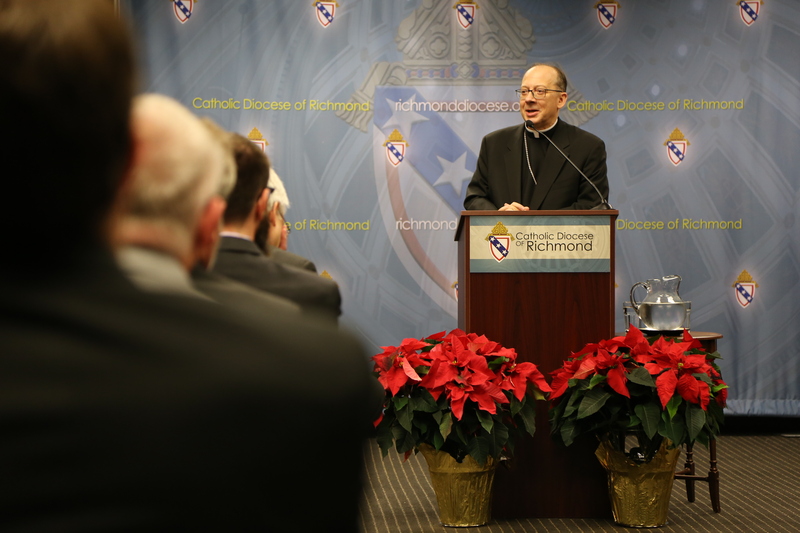 For more information about the newly named Richmond bishop and to watch the complete video of the press conference, go to www.richmonddiocese.org/livestream. The Diocese of Richmond spans 33,000 square miles and 74 counties across the central and southern portion of Virginia, stretching from the Eastern Shore to Southwest Virginia, and as far north as Harrisonburg in the Shenandoah Valley. [post_content] => We mourn for all who lost their lives or were injured in the horrific actions that took place in Las Vegas. We lift our voices in prayer on this Feast of the Holy Guardian Angels whom we ask to watch over us, to guide us, and bring consolation to all who are grieving. We pray for the victims, their families and the repose of their souls. Let the holy angels be with us and bring us comfort during these uncertain times. Richmond, VA - For the second consecutive year, Gov. Terry McAuliffe has demonstrated his unwavering commitment to the nation's largest abortion provider - at the expense of comprehensive health care for women. This morning, Gov. McAuliffe vetoed HB 2264, which would have redirected state tax dollars away from Planned Parenthood and the abortion industry, and toward community health centers that provide primary care to women and their families. This legislation had been introduced by Del. Ben Cline, R- Rockbridge. Surrounded by Planned Parenthood supporters at a veto ceremony outside the Governor's Mansion this morning, Gov. McAuliffe said his actions protected the rights and dignity of Virginia women - when, in fact, his actions harm the dignity of the women deceived by the multi-billion dollar abortion industry as well as the tiniest females, those still in the womb whose lives are brutally eliminated by abortion. Despite its deceptive talking points about caring for women's health, Planned Parenthood performs less than 2% of women's cancer screenings nationwide, and provides no mammograms whatsoever. It offers, instead, the opposite of health care - conducting almost 17 times more abortions than birth-oriented services and aborting 160 children for every 1 child it refers for adoption. Planned Parenthood is responsible for nearly 900 abortions every day, a third of all abortions in the U.S. And yet, despite the fact that most Americans don't want their tax dollars to pay for other people's abortions, Planned Parenthood received half-a-billion dollars in taxpayer funding in its most recently reported fiscal year. It received this money despite extensive evidence that it illegally profited from the transfer of fetal tissue harvested during abortions. The Virginia Catholic Conference upholds the timeless truth that every human being, born and unborn, has an equal right to life. The Conference finds Gov. McAuliffe's pride in protecting an organization that destroys life and harms women and their families deeply offensive. We will continue to fight for the day when Virginia law protects all human life, at every stage of development, from conception until natural death. 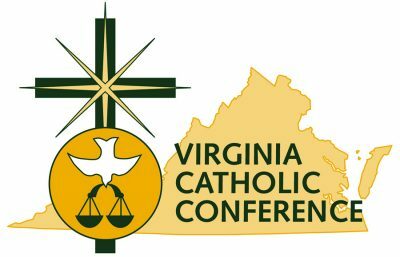 The Virginia Catholic Conference represents the public policy interests of Virginia's Catholic bishops and their two dioceses. Richmond, VA. - Bishop Francis X. DiLorenzo issued the following statement on the 2017 March for Life. [post_content] => Bishop Francis X. DiLorenzo and Bishop Michael Burbidge issued the following statement today about Virginia’s continued use of the death penalty: Read here. Today, I ask the good people of this diocese to open their hearts to our brothers and sisters to the south of us who are still experiencing the devastating effects of Hurricane Matthew. Severe flooding brought on by swollen rivers continues to cause problems here in parts of the United States. Many people, even in inland communities, have been forced out of their homes and at least 20 people have lost their lives. The island nation of Haiti once again faces hardship, disease and untold loss of life. More than a million Haitians are desperate for humanitarian help which now includes warnings of a cholera crisis. Our Office of Social Ministry is in close contact with our Haitian partners and monitoring developments carefully, especially in the Diocese of Hinche, our sister diocese. I have invited all parishes to hold a special second collection to help with relief efforts in the U.S. and in Haiti within the next few weeks. Your contributions will be divided, with 75 percent going to Catholic Relief Services for humanitarian aid to Haiti and 25 percent assisting relief efforts in our country through Catholic Charities USA. Please join me in praying for all those who have lost their lives or are coping with the loss of loved ones and homes, and for our emergency responders working to assist all in rescue and recovery efforts. Let us ask for the intercession of Our Lady of Perpetual Help, the Patron Saint of Haiti, to strengthen and protect those most in need. [post_content] => The Catholic Church makes its position very clear as it pertains to the protection of human life, social justice initiatives, and the importance of family life. From the very beginning, Catholic teaching informs us that every human life is sacred from conception until natural death. The right to life is a fundamental, human right for the unborn and any law denying the unborn the right to life is unequivocally unjust. Contact: Deborah Cox dcox@richmonddiocese.org or (804) 622-5161. See the statement in pdf here. "With great sadness I learned of the heartbreaking violence that occurred last night in Dallas when multiple law enforcement officers were shot, five of them fatally, in the last minutes of what had been a peaceful protest march. I pray for those officers, who sacrificed their lives to protect the peace, their families, and for the city of Dallas. Yesterday, I appealed to the people of our Diocese to turn our hearts and minds to Jesus Christ for strength, compassion and mercy in the wake of deep concern about two shootings in Louisiana and Minnesota. Today I once again urge all to pray continually for peace throughout all the communities in our great nation. Let us pray that future demonstrations are peaceful and we continue to work as a people toward mutual respect, dignity and justice. May God comfort the brokenhearted, and let peace prevail! I invite all to consider this 800-year-old prayer of St. Francis, which is fitting today. “In this Year of Mercy, may we all continually pray for peace in our country. It is my hope that the demonstrations across our nation remain peaceful and they encourage mutual respect and dignity for all. May God comfort all the individuals, their families and communities affected by these recent events and that a fair, just and peaceful resolution is found." Bishop Francis X. DiLorenzo has authorized the Diocese of Richmond to hire Catholic Management Services, a strategic planning and professional services firm, to restore, maintain and make financially viable almost 60 cemeteries, mausoleum and columbaria within the Diocese of Richmond. CMS, is a 501(c)(3) nonprofit organization headquartered in Pleasanton, Calif. specializing in providing business planning services to revitalize cemetery operations. After successfully revitalizing the Diocese of Oakland cemeteries, CMS was hired by other dioceses to share its expertise in cemetery management. 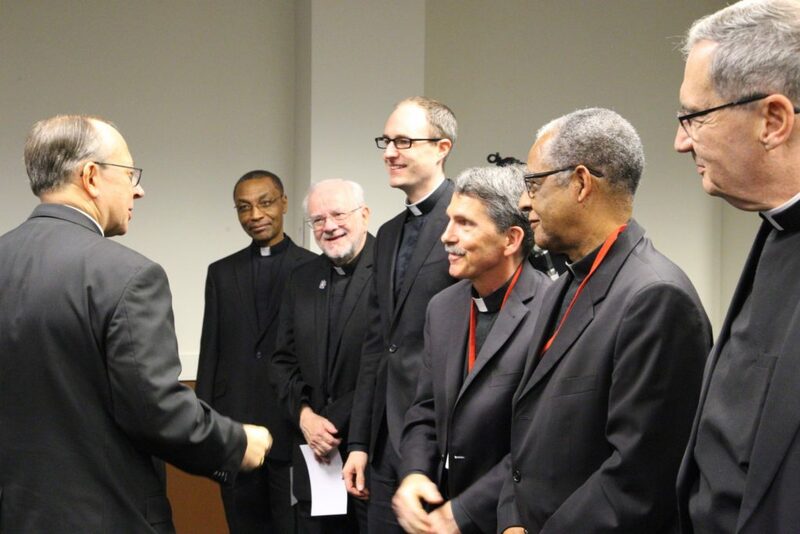 It serves the Dioceses of Sacramento, Spokane, Detroit and Saginaw, among others, and has recently expanded operations by opening an office to service the eastern region of the United States. Under the new arrangement, CMS’s first order of business will be to hire a director for the Diocese’s newly created Office of Cemeteries to manage and maintain its burial sites and to work with parishes to raise awareness of this ministry of consolation. See the job posting here. The Diocese’s new initiative will represent a paradigm shift, bringing into focus the role of cemeteries and other burial sites as sacred places of Catholic outreach, education and evangelization. At the same time, the initiative is designed to restore cemeteries to fiscal health, many of which are financially struggling. The Catholic Church teaches that the human body is a temple of the Holy Spirit. The Canon law of the Church defines cemeteries and other sites as sacred places of repose for the body until the final resurrection. Because of this belief, the Church requires its dioceses and parishes to maintain cemeteries, mausoleums, and columbaria in virtual perpetuity. Church buildings and grounds, however, are fluid: closures, remodeling and expansions occur due to the changing demographics and pastoral needs of the parish. In response, the Diocese implemented a new policy, endorsed by the diocesan Priests Council in January of this year, prohibiting new construction of cemeteries, etc. within close proximity of church buildings. In 2014 CMS began an extensive assessment, including visits, to nearly all 24 parish and regional cemeteries, 33 columbaria and 3 mausoleums located throughout the Diocese. The assessment showed inconsistencies in policies, procedures, pricing and maintenance of cemeteries and columbaria and indicated these parishes would benefit from guidance and recommendations for best practices to better address the challenges they face today. Some of these locations present financial liability issues because they have inadequate endowment funds to provide for their perpetual care. The assessment also revealed pastoral concerns about how and where cemeteries and columbaria are being located, as well as an opportunity to educate families about the rich liturgical tradition of the Catholic Church and Christian burial. The results of this assessment was presented to the Priests Council upon its completion. Earlier this year, pastors and parish staff were invited to presentations at three locations throughout the Diocese to discuss the role of the new Office of Cemeteries and the Diocese’s hiring of Catholic Management Services. As we prepare to enter into a Year of Faith in observance of the 50th anniversary of the Second Vatican Council and the 20th anniversary of the publication of the Catechism of the Catholic Church, all Catholics are called by our Holy Father to reflect on the richness of our Catholic faith and “to rediscover the gift of Baptismal faith and that task of giving witness.” This Year of Faith is intended to awaken Catholics around the world to deepen our relationship with God and live as joyful witnesses to the Gospel. From October 11, 2012 to November 24, 2013, we are called to deepen our life of prayer, study, outreach and evangelization. One way for Catholics to exercise this call is through a more focused approach to our prayer life. Prayer helps us form a more “vital and personal relationship with the living and true God” (CCC 2558). We also have an opportunity to learn more about those whose witness has been forever lifted up as an example to others. By rediscovering the faith of our saints, including those from North American, Catholics in the United States will gain insights into their personal witness to the dignity of every human person, to religious liberty and to our Catholic faith. full 10% of all adults in the U.S. are ex-Catholics; and the number of marriages celebrated in the Church decreased by nearly 60 % between 1972 and 2010. If the Church is to reverse these trends,  the evangelizers must first be evangelized – in other words, Catholics in the pew must make a conscious choice to know and follow Jesus before they can draw others to him. There are a number of excellent resources available through the internet and the many Catholic publishers of which you are already familiar to help achieve this. The staff at the Diocesan Pastoral Center is ready and able to assist you. Throughout this Year of Faith, we pray in thanksgiving for the gift of our Catholic faith. Faith is God’s gift to us, God’s invitation to a relationship so that we may live out the call of discipleship to be joyful witnesses to Jesus Christ. God bless each of you during this Year of Faith. To Download PDF copy of letter, click here. [post_content] => Download Bishop's Letter here. [post_content] => Download Bishop's Letter on the U.S.S Department of Health & Human Services here. The Most Reverend Barry C. Knestout, D.D. The Most Reverend Barry C. Knestout is the 13th Bishop of the Diocese of Richmond. Appointed by Pope Francis on December 5, 2017, he was installed January 12, 2018, at the Cathedral of the Sacred Heart in Richmond. Growing up in Bowie, Maryland, Bishop Knestout attended both Catholic and public schools and graduated from Bowie High School in 1980. After entering the University of Maryland, he was accepted into the School of Architecture and earned a bachelor’s degree in 1984. The following year, he began seminary studies at Mount Saint Mary’s Seminary and received a Master of Divinity and a Master of Arts in Moral Theology. He was ordained a priest for the Archdiocese of Washington, June 24, 1989, by Cardinal James A. Hickey. For five years, Father Knestout served as a parochial vicar at two parishes in the Archdiocese. In 1994, he was named priest-secretary to Cardinal Hickey and continued to serve in that capacity until his Eminence’s death in 2004. For the next two years, he was assigned as pastor of Saint John Evangelist Parish in Silver Spring, Maryland. In 1999, he was made Chaplain to His Holiness, Pope John Paul II, with the title of Monsignor. In October 2006, then-Monsignor Knestout was named Secretary for Pastoral Ministry and Social Concerns and was appointed Moderator of the Curia and Vicar for Administration in April 2007. In both roles, Monsignor Knestout helped in management and oversight of Archdiocesan administration. While shepherding the Diocese of Richmond, Bishop Knestout serves as the Region IV representative on the United States Conference of Catholic Bishops’ Committee for the Protection of Children and Young People, which, in coordination with the National Review Board, provides recommendations concerning child and youth protection. He is the Episcopal Moderator of the Association of Catholic Correctional Ministries and serves as the episcopal liaison to the Diocesan Fiscal Management Conference. He is a Fourth Degree member of the Knights of Columbus and a member of the Order of Malta and the Equestrian Order of the Holy Sepulchre of Jerusalem. 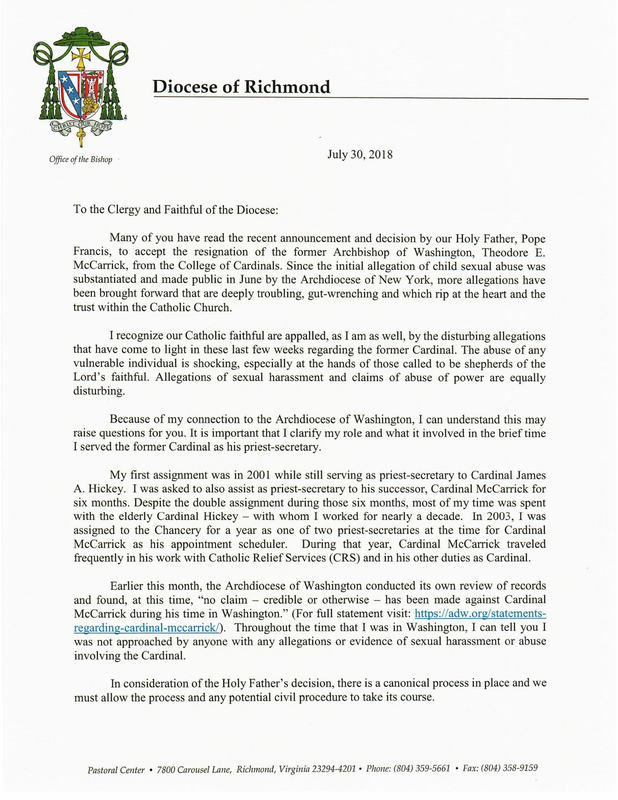 Bishop Knestout’s inaugural year in the Richmond Diocese has been highlighted by the writing of his first pastoral letter, “From Tragedy to Hope,” in which he addressed the 2018 abuse crisis, and called upon Catholics to “offer a compelling testimony to the love of Jesus Christ and the ability of our Church and its many ministries to be a force of good in the community.” The letter was issued September 14, The Feast of the Exultation of the Holy Cross. On the same day, he celebrated the first Mass of Atonement at the Cathedral of the Sacred Heart. On September 27, 2018, Bishop Knestout, to provide better pastoral care for the faithful, established 15 Deaneries in the Diocese of Richmond through a canonical decree. Each of the Diocese’s three Vicariates now includes five Deaneries. Every parish, Catholic school, and campus ministry is assigned to a Deanery. In October 2018, he was honored by the Saint Luke Institute, a treatment center dedicated to health of clergy and religious, for the exemplary pastoral concern he has shown his brother priests.